The chicks are growing so quickly. They’re going to out-grow their current demesne faster than I had anticipated. I want to build a coop that can handle a couple dozen chickens, but now isn’t the time. I need to focus on temporary living space for my family, not the chickens. I need a temporary solution. I was able to salvage this lean-to. It was destined to become part of a bonfire. I rescued it and added a floor and back wall. I have some more work to do. I need to install a door and cover up the rest of the front. My goal is to get by until July or August. 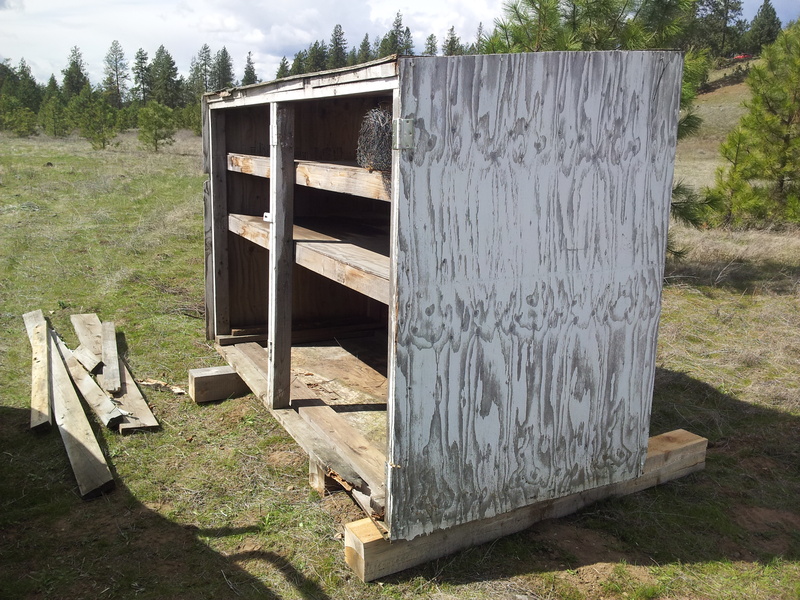 I plan on building a nice walk-in coop with a linoleum floor, perches and boxes. This entry was posted in Buildings/Structures and tagged coop by admin. Bookmark the permalink.